AZOMAX™ is a 2-in-1 alcohol-free cleaning and disinfectant spray which contains a revolutionary patent pending proprietary Advanced Active Technology™ formulation containing a mix of surfactants and 5 biocides including quaternary ammonium compounds (QACs), bronopol and polymeric biguanide (PHMB), complementing one another to create a powerful 2-in-1 cleaning and disinfectant which has a 24 hour residual activity, providing continuous antimicrobial activity. AZOMAX™ is NHS approved and is widely used in professional settings including healthcare areas such as casualty departments, operating theatres, GP, dental surgeries, laboratories, clean rooms and care homes. Furthermore, AZOMAX™ is also used widely in non health areas including food manufacturing, hospitality and catering, schools and educational community where infection prevention and control is fundamental. AZOMAX™ has been fully validated by United Kingdom Accreditation Service (UKAS) accredited laboratories. In the UK, (UKAS) is the sole national accreditation body recognised by the UK government to assess the competence of laboratories that provide certification, testing, inspection and calibration services. AZOMAX™ products have undergone rigorous testing to ensure that it conforms to its stated efficacy against a broad range of micro-organisms, giving you confidence that our alcohol-free disinfectant actually does what is says, providing a rapid and effective level of cleaning and disinfection. Conti® So Soft is a heavyweight material offering durability and softness for highly effective cleansing both above and below the waist. An ideal choice for patient care and when used together with Clinisan™ skin cleansing foam, provides the complete patient cleansing system which has many uses in the healthcare environment for general purpose cleansing. Gentle soap-free foam for cleansing and protection of sensitive or dry skin. 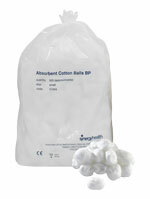 Particularly useful at protecting the skin from the effects of incontinence. Conforming to the specifications of the NHS Drug Tariff. A soft close fibre construction swab providing efficient wet friction, proving ideal for debriding and cleansing of surface wounds. Virtually lint free, this swab provides excellent conformability and thermal insulation making it the ideal solution for wound dressings and as a component for wound dressing packs.